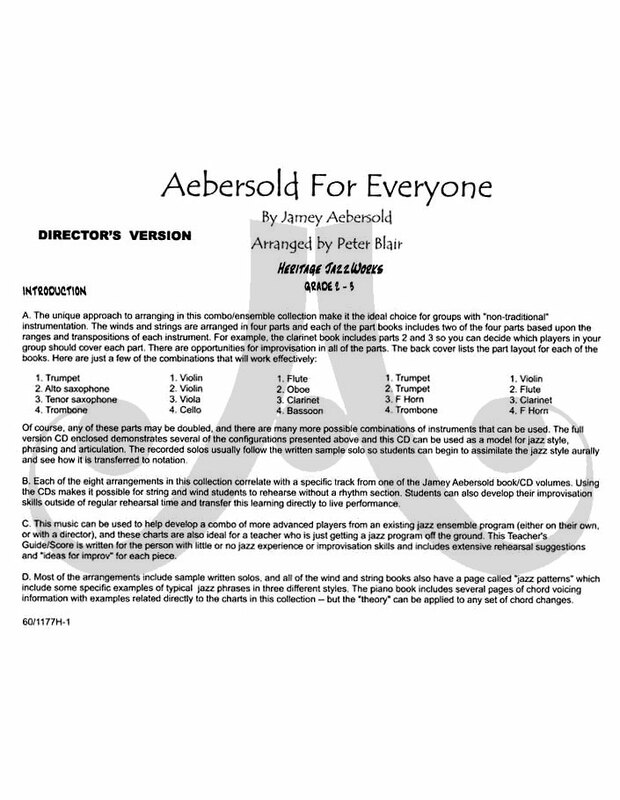 A flexible format for jazz groups with non-traditional instrumentation. 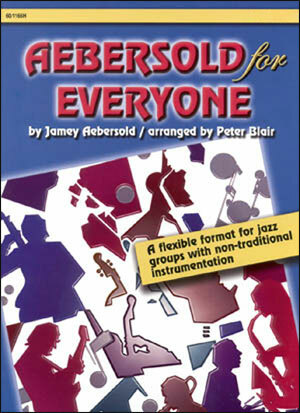 Book by Jamey Aebersold. Arranged by Peter Blair. 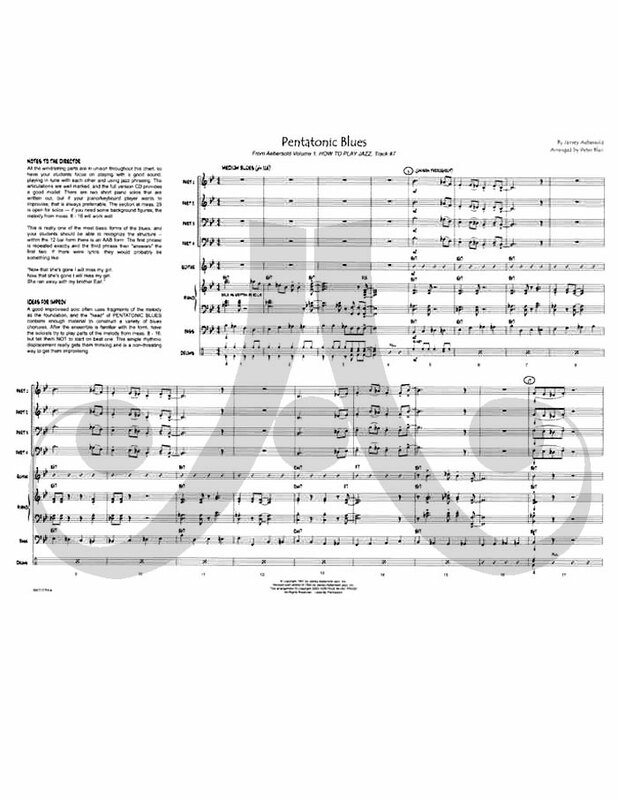 This collection features eight complete arrangements for very flexible instrumentation. 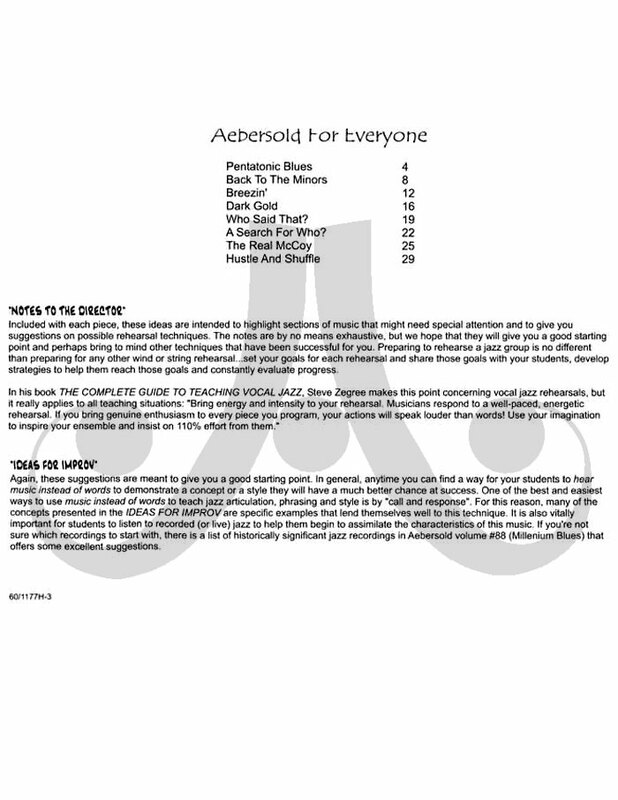 The pieces correlate with selected tracks from Aebersold play-a-long volumes #1 (How To Play Jazz), #24 (Major and Minor), #57 (Minor Blues) and #88 (Millenium Blues). This music can be used by any and all wind and string students for performance or study. The students may rehearse using Jamey's play-a-long tracks, or with their own rhythm section. All the rhythm section parts are fully notated and include chord symbols. The Teacher's Guide/Score is designed for the person with little or no jazz or improvisation skills and includes extensive rehearsal suggestions and "ideas for improv" for each piece. This collection may also be used by more advanced students without a director. 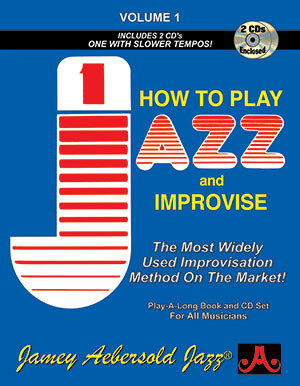 Books are sold by instrument. Score comes with book and CD.